As this is world of computers, everyone is using internet in any field he is in. Browsers are playing an important role in boosting up the use of internet more easily. Everyone wants more ease in using internet, so in this scenario more and more browsers along with their new versions are coming on the forefront. Likewise Firefox 4.0, a new version of Mozilla Firefox has been released on March 22nd, 2011. This add-on is so interesting that once you restart the windows, it goes around the Windows features to load Firefox faster. 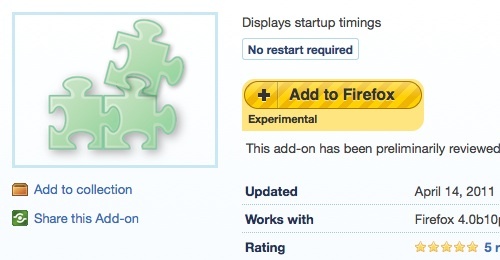 ‘Faster Firefox’ shortcut has also been added to the Desktop which starts Firefox up to 2x quicker than without this add-on. 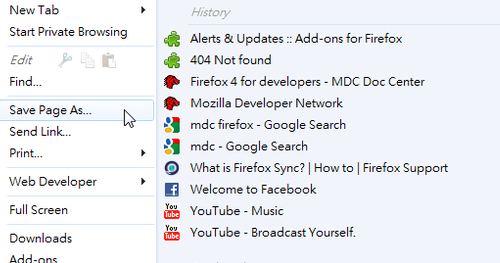 This is such a great add on that allows you to edit the Firefox Menu and change it to your personal and powerful one. It provides you a couple of new supportive items that are available to be put into Firefox Menu like Bookmark Items, Configuration, History Items, Restart. 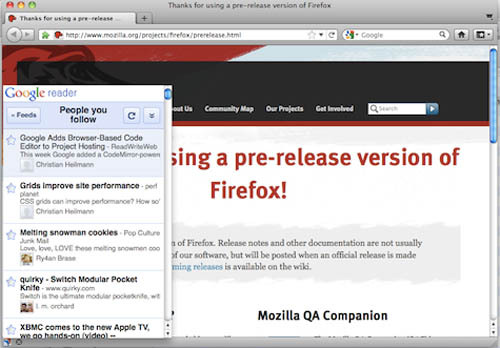 Besides that, toolbar-box, split-menus and sub-menus to organize your Firefox Menu can also be created. By using this Mozilla Lab add on, you can the entire window to the web content by removing the typical location bar, search bar, and tabs. It helps users to find top sites, tabs, history, and do web search by enabling the search functionality in a dashboard. Instead of the dropdown menu, this Quick Search Bar add on places the search engine buttons inside the searchbar just to enhance the usability if you use more than one search engine. Find All add on adds a find bar button through which you’ll be allowed to search for a word or phrase on a web page. And the results are displayed in an easy to view list. The total number of results found are also displayed by using this add on. Barlesque is a wonderful extension for Mozilla Firefox 4 that reclaims useful window space by breaking up the wide grey add-on bar into a neat set of add-on buttons. This extension is in Firefox 4 only, as add-on bar is a new trait. To alert you to new messages on Facebook, this add on adds a small badge to your tabs. When the tabs are pinned, the badge is also visible so you can see when there’s something new available. GReader Panel add on can display mobile Google Reader in a panel. This add on is used to a menu which displays all tabs grouped by tabgroups to the menu bar and to the tabview button if the menu bar is hidden. To give you more control on the built-in Firefox features, this add on has brought back some of the old status bar items. In this way, you can enjoy both new and old features. Super Firefox-4 add ons we can get more use through the Firefox.